At the end of the summer, many people begin to experience symptoms of ragweed allergy or hay fever. In addition to nasal symptoms such as sneezing and congestion, symptoms that affect the eyes can result in a significant level of discomfort. When suffering from allergies, the eyes can become itchy, puffy, and red and often sting or tear. Vision can often be affected as well by blurriness or sensitivity to light. These effects can be so debilitating for allergy sufferers that they prohibit an individual's ability to perform in work, school, sports and leisure activities. For contact lens wearers eye allergies are sometimes worse because contacts can often collect pollen. Additionally, we tend to rub itchy eyes, which can result in even more irritation for contact lens wearers. Contact lens users experiencing eye allergies often find themselves using rewetting drops frequently or even reducing the use of their lenses or switching to glasses. If you wear contacts and experience seasonal allergies, it could help you to try switching brands, particularly to single use, daily disposables which reduce the potential for pollen collection. If you are experiencing discomfort from your contacts, visit our Albertville, AL eye care practice to discuss your options. Keep windows closed when possible, especially when driving. Clean floors with a damp mop instead of sweeping which tends to stir up rather than clean away allergens. Eliminate mold in your home by keeping humidity under 50% and using a dehumidifier if necessary. While over the counter medications and eye drops can sometimes help relieve symptoms, a prescription medication may be what you need. In this case, schedule an appointment with your eye care professional now to discuss your options and begin proper treatment. 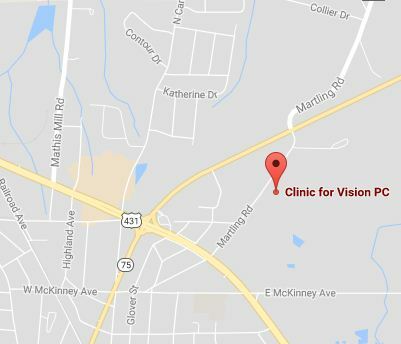 Our Albertville, AL optometry practice is here to help you in regaining your comfort this fall!